Today it has appeared that the final week of February will see the release of the Imperial Knights, Imperial fist supplement and Legion of the Dammed supplement. 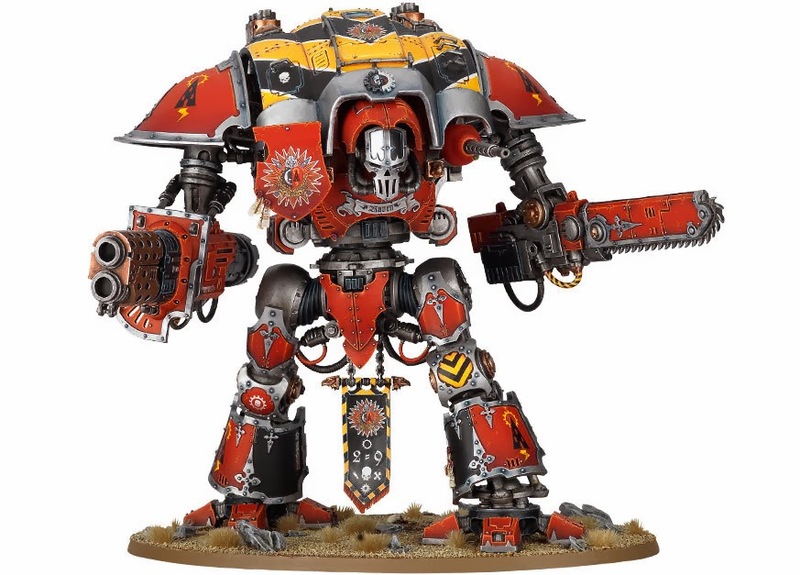 This disproves the earlier predictions that the Imperial knights would get the whole month of March, which i always thought was a bit weird after all why would a single new unit option get a whole months of all to itself release wise. All the release schedules i have seen have made the months divided by what army was being released, however the recent news voids those predictions. We, as a community, shouldn't be thinking about things being released by month, but by week. February isn't the Dwarf month (although it still mostly was), weeks 1,2 and 3 of February were Dwarf weeks and week 4 is the Imperil knight week. This is a exciting revelation for me (and anyone else who doesn't have a 8th ed army book or 6th ed codex), i firmly believe this will see the speeding up of the release of all codices and army books that aren't yet at the current edition. Regardless of what happens it will be interesting to watch. Until next time.